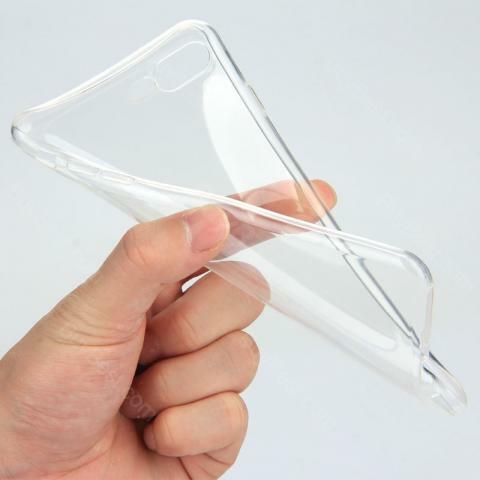 This Transparent Phone Case is for iPhone 6/6S/6 Plus/6S Plus/7/7 Plus. It comes with a tough TPU material which can product your phone from possible scratches. • Tough TPU material protects iPhone from impact damage. • Smooth TPU shell, so that your iPhone easily loaded into the pocket or remove it. • Personal design to prevent machine scratch. • High quality TPU material, while maintaining the beautiful, to provide long-lasting protection. • The strengthening design of corner collision absorption force, 360 degree full protection of your love. This is great, its thin, its clear, its light, and its generally protective. I hate using a phone case on an iphone because thats why you would buy an iphone, for the looks, and machining so obstructing that would be an eye sore. Anyway this is protective enough that I feel comfortable sliding my phone across a table and having it fall table height without it breaking. Shipping was rather long but its cheap, and good. Id buy it again. Fits the phone perfectly and shows off the back of the phone making it look shiny and awesome. Works with iPhone 6 Plus and iPhone 6S Plus. I love it! Strong than usual soft silicone case. The decals shows no sign of wearing/peeling off anytime soon. Nicely packaged. Holes are correctly sized for buttons on my phone. Looks great on my iPhone 6 Plus; and it will on yours, too! Will buy my next case from Geekmart! This was rarely used, but is a great case for those looking for a slim feel while holding their phone. Not super slippery and helps keep fingerprints from ruining the back of your phone. I have had cases in the past that broke on me but not this one. This one works really well and I like it a lot. I would recommend it and it is super inexpensive to! get it!